To say Liverpool co-owner George Gillett Jr. aren’t interested in their home country’s soccer league could be an understatement. Gillett and his EPL side Liverpool are hoping to be the MLS’s opposition in next summer’s All-Star game in Toronto. Most of you know my feelings on the MLS’s All-Star event but another EPL side to play would be pretty cool and much better than the Fulhams and Chivas of the years past. And the game being in Toronto is fitting since the stadium is red and one of the main sponsors is Carlsburg (the kit sponsor of Liverpool if I am not mistaken). Also, Gillett (a dude with plenty of cash and plenty of soccer IQ) is starting to talk up the possibility of owning MLS side in the Canadian city of Montreal. Makes plenty of sense due to the fact that he owns the local hockey team in Montreal and has plenty of ties to city. The word is Liverpool may also being lined up for a friendly in the Montreal’s Olympic Stadium, possibly against Juventus, an event which would test the locals’ appetite and desire for a club. I can’t help to think both would be a good move for the league if Gillett is involved. The league needs more owners with actual soccer knowledge and with deep pockets. Gillett definitely has both. And I think MLS Commish Don Garber will be uber excited to talk about the league and Liverpool in the same sentence. I remember the day he was talking about Chelsea and the All-Star game and I can’t help but to imagine it being the same kind of excitement. I'm curious, what makes you believe Gillett has 'plenty of soccer IQ'? He has certainly yet to display it in his dealings with Liverpool. 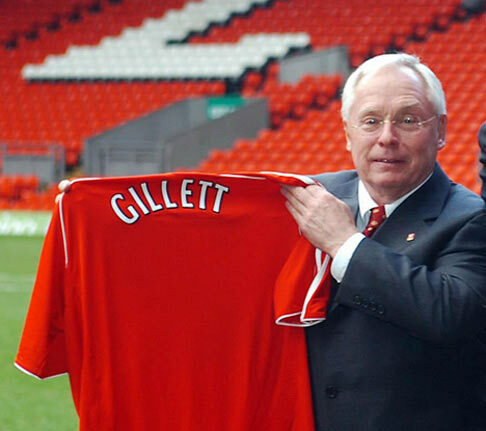 I’m curious, what makes you believe Gillett has ‘plenty of soccer IQ’? He has certainly yet to display it in his dealings with Liverpool.